Elissa starts talking about the cultural shift from shopping daily to the phenomena of big club stores and how we started shopping there as little as once a month. This book takes you through inventorying your pantry, discovering your shopping and eating habits and shopping in club stores in a way that reduces waste because food that is thrown out is food and money wasted. 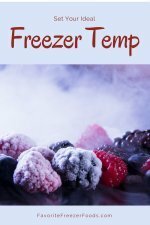 This is not a freezer recipe cookbook, it's a method of using the freezer to help store bulk foods and shop in bulk sizes at club stores. In the margin there is a heading called "How long will it last" that gives times for storing that meal in the refrigerator or freezer. There is also a section called "What to do with it" that sometimes talks about freezing leftover quantities of ingredients. Other subsections include "What you have on hand" listing bulk food items you can use up in this recipe, "Additional serving recommendations" suggesting other dishes to serve the recipe with and other ways to serve and garnish the recipe at hand. "Secondary dishes" are new creations that you can make out of leftovers. The recipes are simple with common ingredients and put a bit of a gourmet spin on dinner. Many include a list of variations to help spice things up even more. The intro chapters run on and on and are a wee bit repetitive but there are some gems hidden in there. 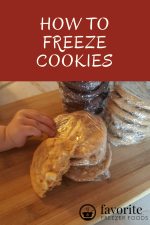 For example Elissa suggests using fabric first aid tape for labeling freezer containers and there are some important reminders such as never using foil to wrap acidic foods (think tomatoes). The end of the book has an action chart so you can search for the items you have on hand and find a recipe to use them up followed by the index so you can find that recipe in the book quickly. This is a great book for people who want to shop in bulk at club stores but not the best for freezer cooking overall. Compared to Fix, Freeze, Feast Big Food had a bit more variety and a more gourmet edge. On the other hand if you're just looking for quick home style recipes you can prepare in bulk with friends then The Big Cook is a better choice.